Last year, Charlestown’s recycling effort was pretty terrible. When the state Resource Recovery Corporation handed out checks to cities and towns for their share of profits from the sale of recycled waste, Charlestown came in dead last in tonnage and received the smallest check – $6,908.19 – of all the 39 RI cities and towns. Then Town Administrator Bill DiLibero reported this poor performance to the Town Council and vowed to improve Charlestown’s performance. He said the town would make it easier for beachgoers to recycle and that he would try to get private trash haulers to be more careful to keep recycled waste separated, as well as make sure Charlestown got credited for that recycled material. Based on the new state numbers, we did a little better since then. Our profit-sharing check grew by 9.1%, to $7,539.75. It’s always nice to have an extra $631.56 to play with. But there’s more to the numbers. The increase in the amount of our check, such as it is, has more to do with the increased price paid for recycled material. The year before, the state got $20.18 per ton for recycled material and this past year, the price climbed to $21.44 per ton. That’s a 6.2% increase in value. 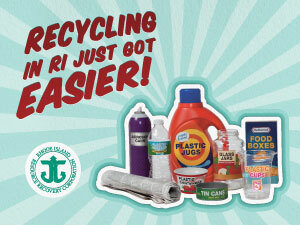 Charlestown did succeed in boosting the amount of waste it recycled from 342.39 tons in 2011 to 351.62 tons in fiscal 2012. But that increase of 9.3 tons amounts to only a 2.7% increase. If there’s any consolation at all in the numbers, it’s that Charlestown rose from last place to next to last, with West Greenwich now holding the dubious distinction of collecting the least amount of recyclable material and thus getting the smallest check. Bill DiLibero was determined to do better, but with the CCA’s “Kill Bill” campaign and all the other insane stuff that has happened in Charlestown over the past year, it’s easy to understand how Bill got distracted and perhaps didn’t give recycling all the attention it deserves. DiLibero never really had any support from the CCA-controlled Town Council. At the September 12, 2011 Council meeting, DiLibero not only reported Charlestown’s poor numbers, but said that the town needed to employ more aggressive enforcement. Town Council Boss Tom Gentz told DiLibero to come back if the issue has an impact on tipping fees. According to the Council minutes for September 12, 2011, “The Council took no action on this matter but will revisit the issue in the future as necessary,” making it pretty clear that improving the town’s recycling record was not a priority for the CCA-controlled Council. Indeed, in the CCA’s platform, the only important environmental issue is acquisition of more open space. By the way, this was the same Town Council meeting where Charlestown got to see behind Tom Gentz’s “Uncle Fluffy” mask as he pilloried Breachway Grill owner Craig Marr for holding a birthday party for his grandmother on the restaurant’s deck. Click here to watch Gentz go nuts on Marr for yourself. Gentz's anticipation for his session with Marr may be one reason for his lack of engagement during the recycling discussion. In November, voters will have the chance to use the time-honored democratic process to hold Gentz and his colleagues accountable for what they have done, and what they have failed to do.